Hm. In my opinion this accessory is bad. It has been a TOUGH beginning for Black History Month. What should be a celebration of black talent, history and excellence, February has been inundated with disappointing stories of Senators wearing blackface, and Liam Neeson revealing how close he came to committing a hate crime. 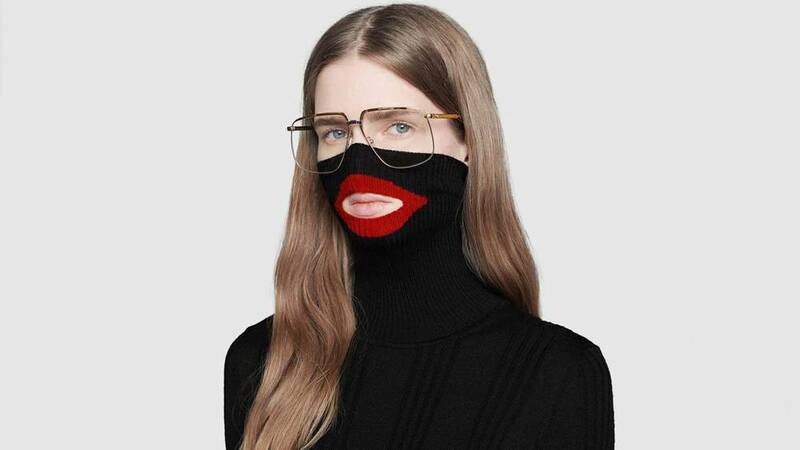 And now, Gucci joins the ranks of the businesses who have elected to make this month just a little more racist by revealing their $890 black-knit women’s balaclava which featured a red ring around the mouth. The mouth on the balaclava is a red ring, making the mask look like a classic depiction of blackface. People have called for the sweater to be pulled, and Gucci did just that, issuing an apology on Twitter “for the offense”, and saying that diversity is a key part of their strategy and philosophy. We will see if they put that philosophy to work on expanding their empire rather than just erasing mistakes once they are caught. Their apology can be seen below. Adidas has also come under fire for racist fashions, for including a completely white pair of sneakers in their Harlem Renaissance movement line for Black History month. They too have pulled the sneakers. Ultimately, big brands, and fashion brands whose history with releasing racist clothing has been near constant, have to understand that the world is wider than their own narrow bubble where casual racism seems to be okay, and the world will cry out against it because the images are naturally offensive. More white people have to realize that their privilege does not live in a bubble and they have to take it upon themselves to do the right thing as if they live in the history of a country whose approach to race may show no sign of healing. Mainly because they do. And they have to act as one of the agents making the world a little better, rather than a little worse. Also, $890 for a blackface sock!? Shut up with that. Go home. Wear less racist face socks. What do you think of the racist face sock? Let us know in the comments or on Twitter at @WhatsTrending.